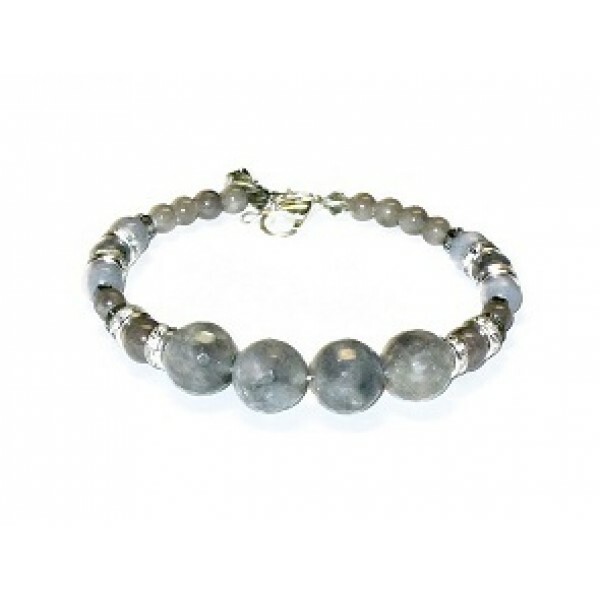 Look chic in this grey bracelet. It contains 12mm faceted round quartz beads that are accented with rhinestones, Swarovski crystals and smooth and faceted jade beads. It has a silver-plated lobster clasp and can be extended from 7 to 7 1/2. These chic neutral colored earrings will enhance whatever you wear. They consist of quartz beads, fa.. This one-of-a-kind expandable choker features a jasper pendant that is accented with faceted coral b.. This expandable choker fits very comfortably and securely without a clasp, which makes it easier and..